Silver Oak is on a constant quest to be the best online casino. Slots especially, we recognize the importance of being able to appeal to a diverse and select audience of players, and keeping this philosophy in mind we have an extremely wide selection of different casino slots to choose from. When faced with so many options for instant fun and the chance at winning some long-lasting cash, the only thing left to do is pick which electronic adventure you are going to embark on today. First, check out this optional video and listen to our very own Youtube star Lela run you through what you need to know regarding our very latest games. The first question should be: what sort of a slot game are you interested in? Some, if not most slots nowadays, tell some sort of story or have a theme. What are some of your interests? Or, even better: what do you find particularly lucky? There is anything from Egyptian and ancient culture themed slots to animal themed slots to sports themed slots – and all of them a different feel. For my money, I really enjoy the fast-paced ones which tend to give the impression of an action movie or thriller. I want nonstop action where my heart is pounding just as fast fast those virtual chips are falling into my lap. Some of the best slot games under this category would have to be Ninja Star, Green Light, and Aztec Treasure. Ninja Star is probably one of my favourites because it combines the nostalgia of old kung-fu and ninja movies from the 60’s and 70’s with the energy of a slot machine. Kiai!! With an advanced betting feature, Ninja Star offers 5 reels and 25 paylines, so it stretches out the ‘narrative’ of its gameplay a lot longer than some other games. There is also a “lightning-fast” bonus round which keeps the momentum going – a special Ninja symbol will occasionally come up and acts like a wild-card, allowing you to substitute it for any other game. With its high maximum award of 15,000 times your bet per line, it’s one of the quickest and most profitable slots at your disposal, like a black-clad win fall assassin. Green Light has the same intensity of a car chase, and if you’ve watched Ryan Gosling’s latest movie Drive you’ll probably feel like you’re in the passenger seat next to him, eluding helicopters. With the same fast-paced gameplay as Ninja Star, Green Light takes a different setting – that of a race. If a player comes in 1st or 2nd it also triggers a special additional race that allows them to win up to 100 times the bet. 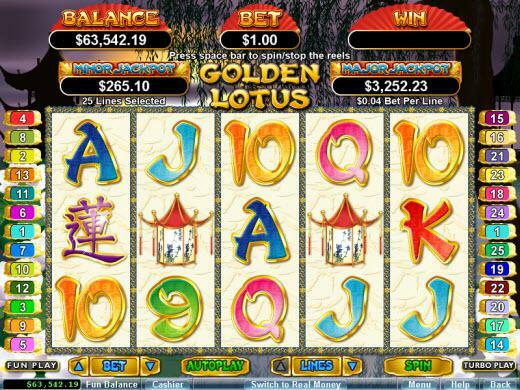 The benefit of this slot game is also the fact that the wager can be anywhere from between $0.05 to $50, giving a variable playing field to gamers of any skill. If you want to play it safe, or want to risk it all, the high-octane velocity of Green Light is a stellar choice. Silver Oak is always coming up with new games and different themes for them, and each subscribes to its own particular ‘personality,’ so it never feels like you’re playing a cookie-cutter game that’s just been given a new face. The feature of Autoplay on many of the games also allows a gamer to play “hands off”, and have the spins and bets submit themselves automatically. So if you want to sit back and eat that cereal and drink that coffee, we have your back, partner. The reality is this: slots are one of the funnest things that you can do while in front of a screen. All the fun and excitement is waiting just a click away. If you want the quickest route to the best online casino slots, then check out the WebPlay functionality, which allows you to play Or if you want to experience the full range of games that Silver Oak has to offer, then head on over to the downloads page and grab our super easy-to-use software. You will have those wheels aligning on ‘BONUS‘ in no time!